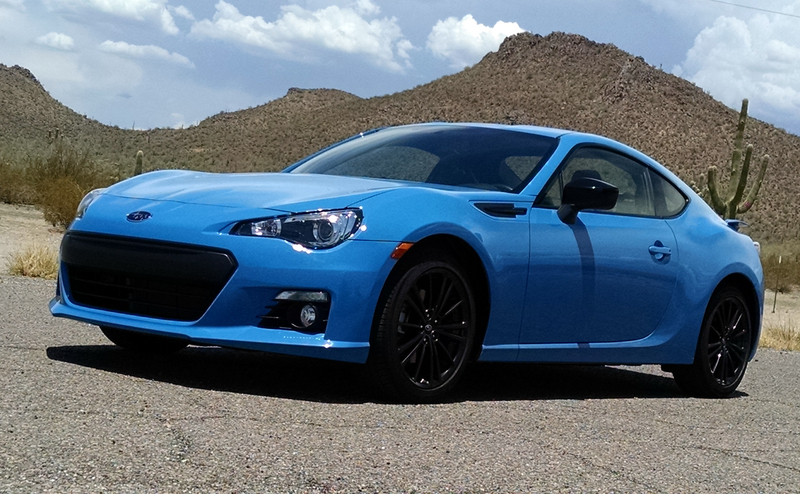 For 2016 the Subaru BRZ gets is limited edition Series.Hyperblue of which some 500 copies will be made. 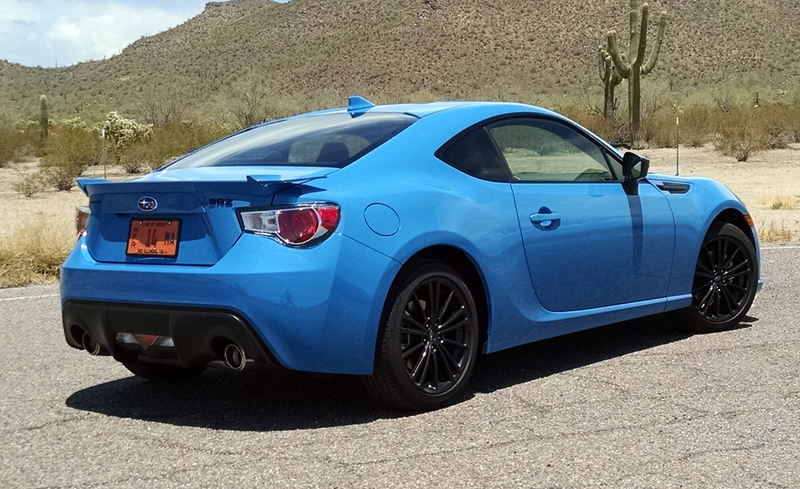 It accompanies its brother the WRX STi in the same scheme that will have 700 made. 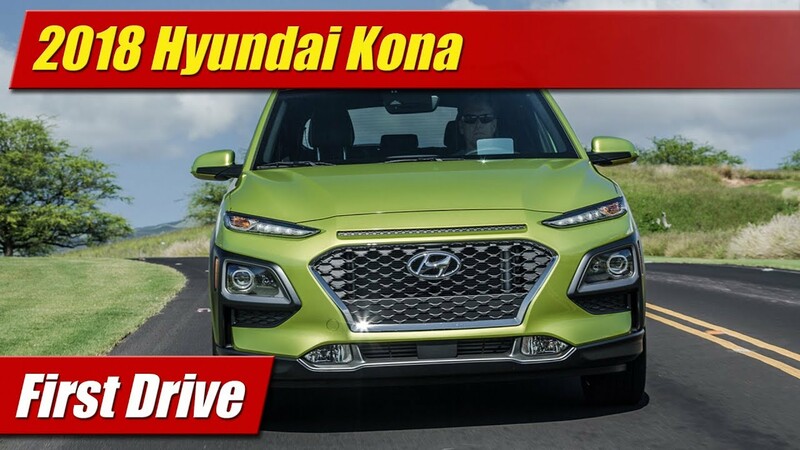 It’s a welcome edition that sets it further apart from the Scion FR-S that outsells it by a significant margin, offering buyers of the car something more unique than what the majority is driving. 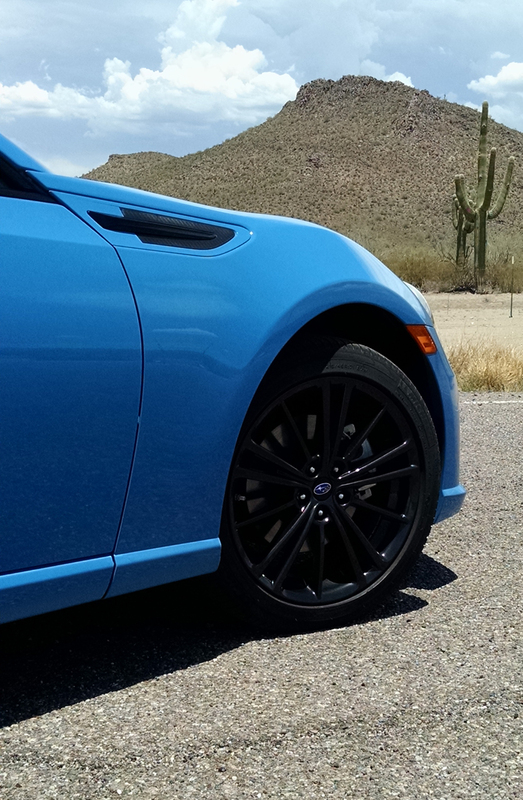 Priced at $28,485 including destination the special edition comes with its namesake Hyper Blue paint which is marvelously bright. Blacked out 17-inch alloy wheels, the same design as the stockers are here too along with blacked out trim elements and emblems. 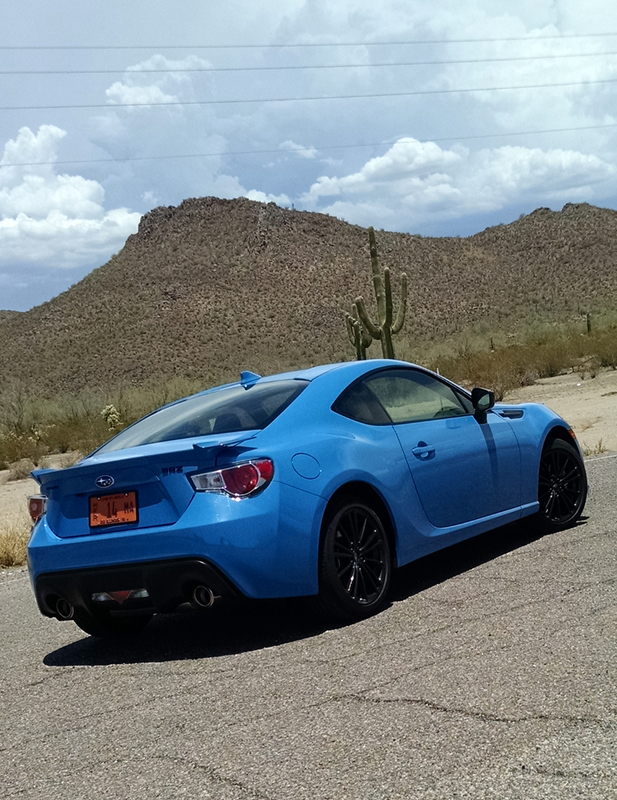 These changes in addition to slightly different pieces here and there from the Scion FR-S including a well design rear deck-lid spoiler are well worth the extra charge all on their own. But the story continues inside. 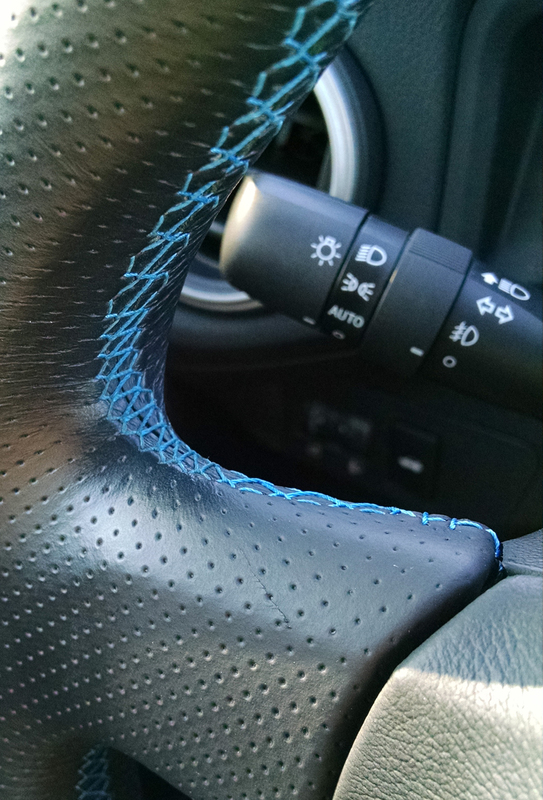 There the highlight stitching is bright blue instead of red, lining virtually every edge and crease along the dash, console, door panels, seating, the steering wheel and the shift boot. 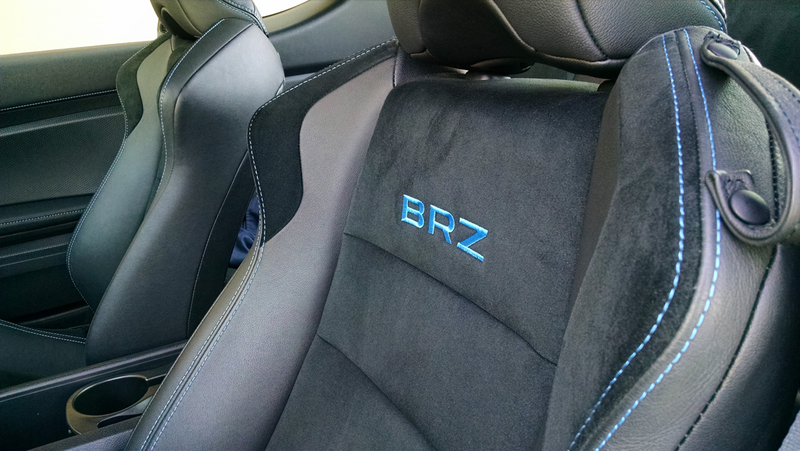 Alcantara suede sport heats feature embroidered BRZ logos and are heated too. 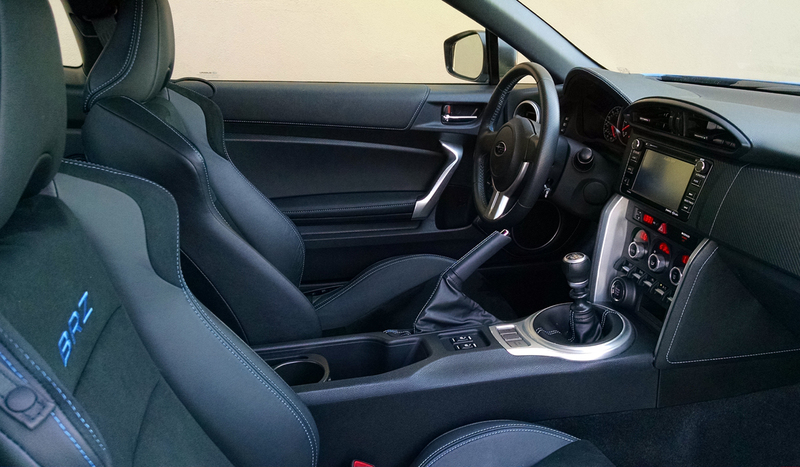 It’s a comfortable and pleasant place to be, the seats some of the most comfortable in any similarly priced sports car. Things are basic though, adjustments for them and the steering wheel manual, few of the bells and whistles you’ll find in the German brands. But simplicity is good. Rear seat passengers will need to be without legs as their seat is really for your insurance rates, not real people. Gear, backpacks, and small parcels are best uses of this space. The trunk is generous however and that seat can fold down to allow larger items. 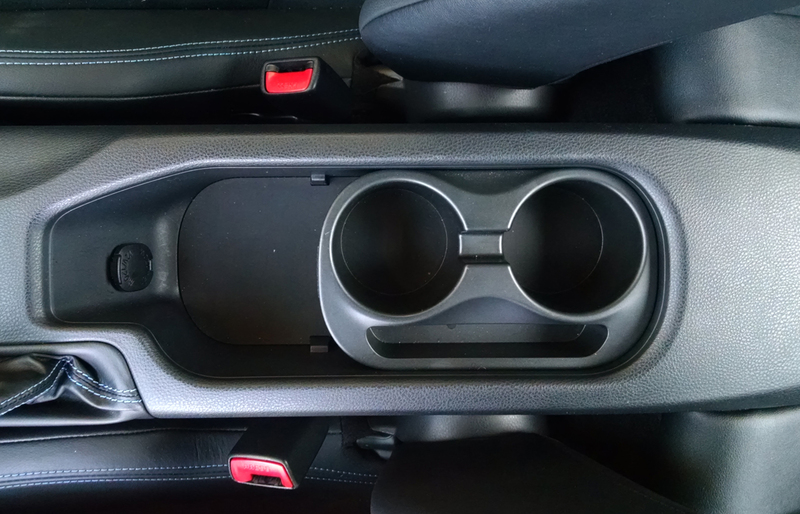 Storage however is at a minimum in this car, no center armrest and compartment below. 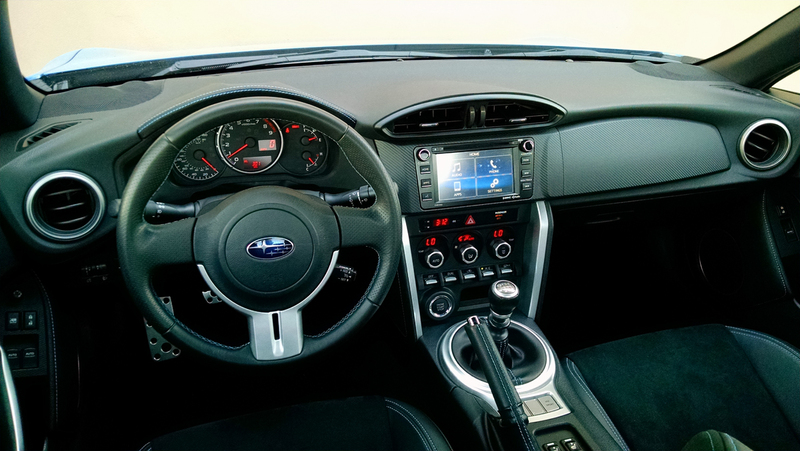 The touchscreen audio system has a great sound but isn’t the fully integrated system you’ll find in other Subarus. It’s more of an aftermarket style unit but still has the Starlink branded suite of applications, though Apple CarPlay and Android Auto are missing. 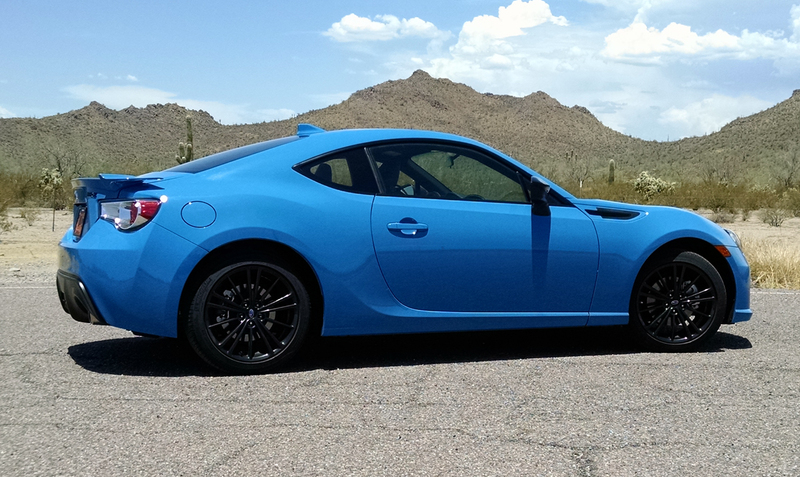 While it is a special edition, what’s under the hood is the same 2.0 liter Boxer four-cylinder engine that powers all of the BRZ and FR-S. 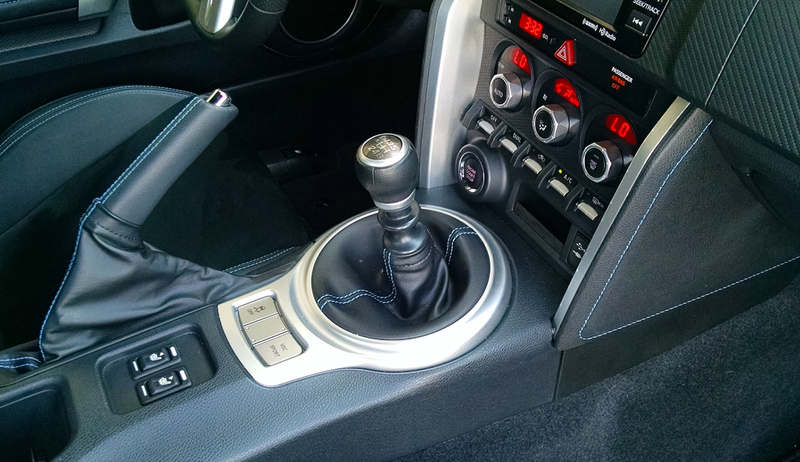 This means 200 high revving horsepower at 7,000 rpm and a stagnant feeling 151 pound-feet of torque near there at 6,400 rpm. 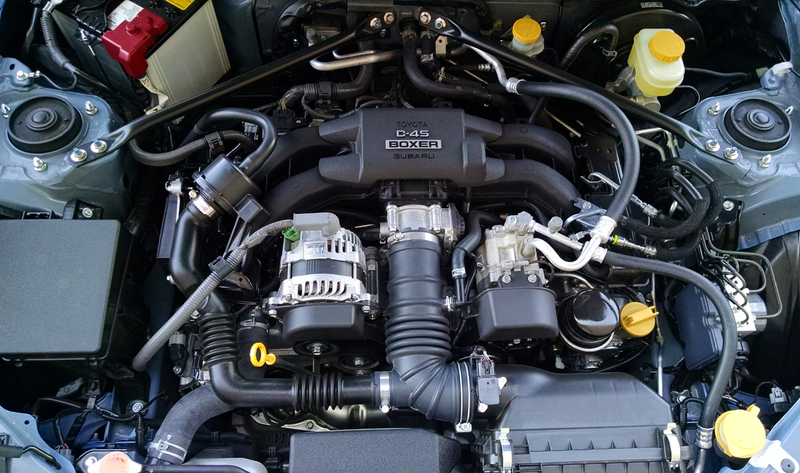 It’s a loud and laborious slog to get power from this engine, requiring redline revs at all times if you want to move along. 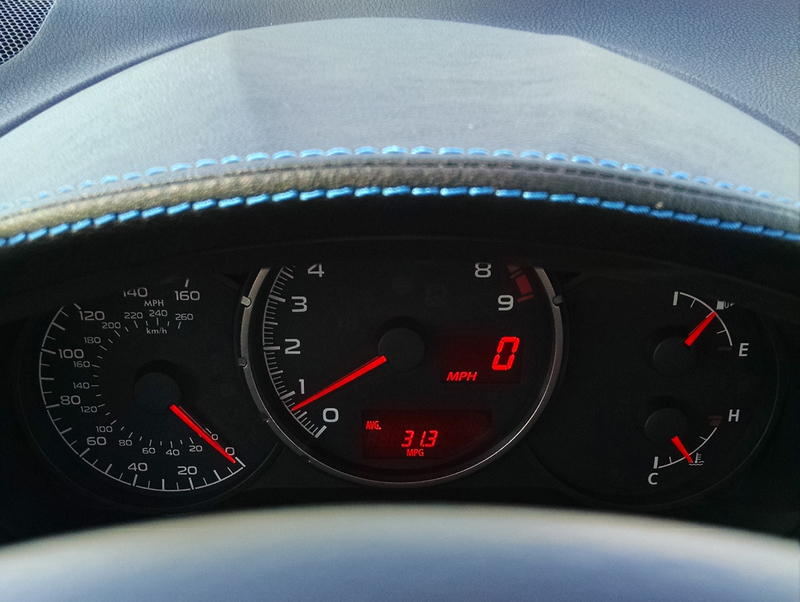 This is fine on a racetrack where your helmet muffles the noise, but around town where you typically find lower revs normal it’s slow and un-fun. This car needs a turbocharger. 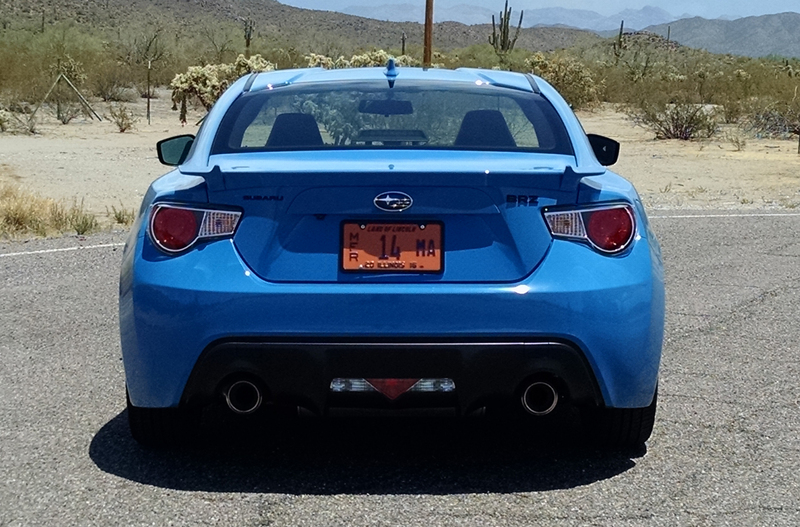 Fuel economy was a strong point however, even with our barnstorming the mountain roads. 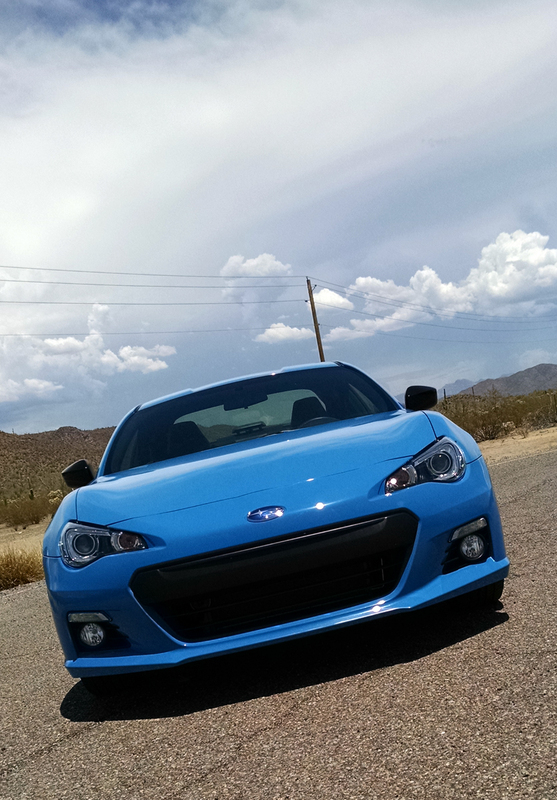 The EPA rates it at 22 mpg city, 30 mpg highway and 25 mpg combined. We achieved a remarkable 30 mpg combined with the AC on. Unfortunately, it requires the more expensive premium unleaded fuel. 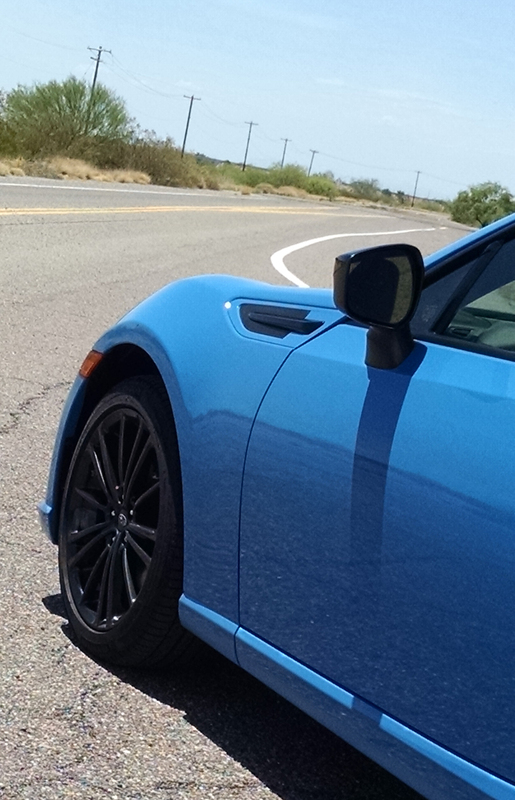 All of this complaining of the engine shadows a car that handles superior to much of what you can compare it to. 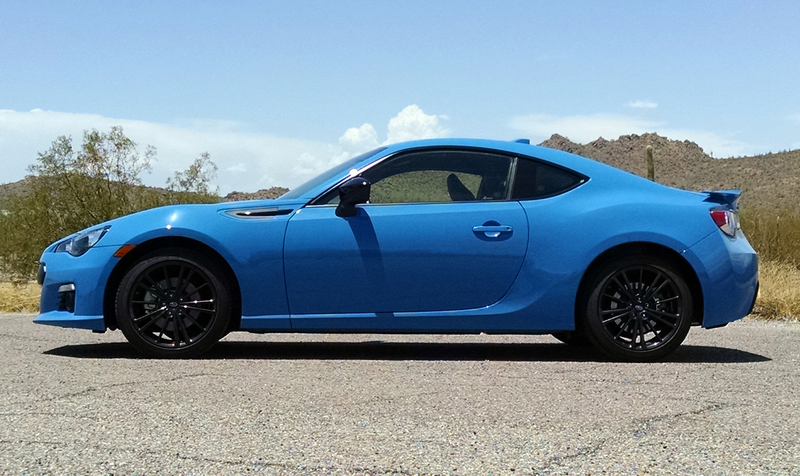 The suspension fully independent, rear wheel drive, stiff enough to be sharp but soft enough to live with, it’s a dream. Carving corners is fun and full of energy. 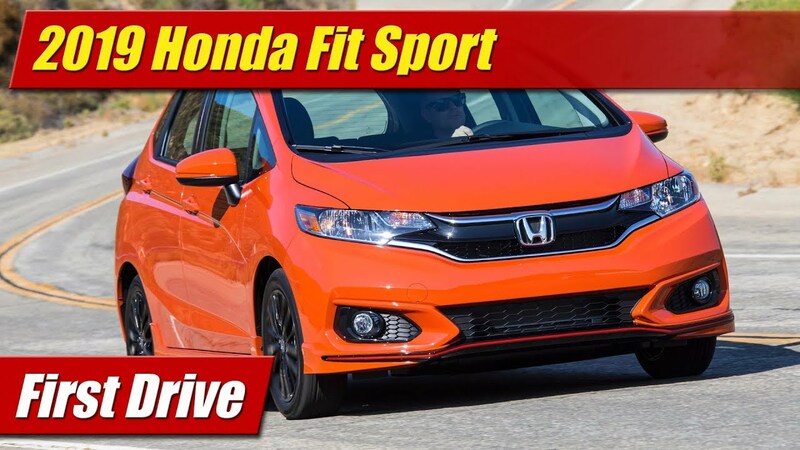 In part this is because the stock rubber isn’t the most adhesive, but they are well tuned with the car to give excellent predictability and the drama a driver can enjoy even if they can’t push it to eight tenths on a race track. 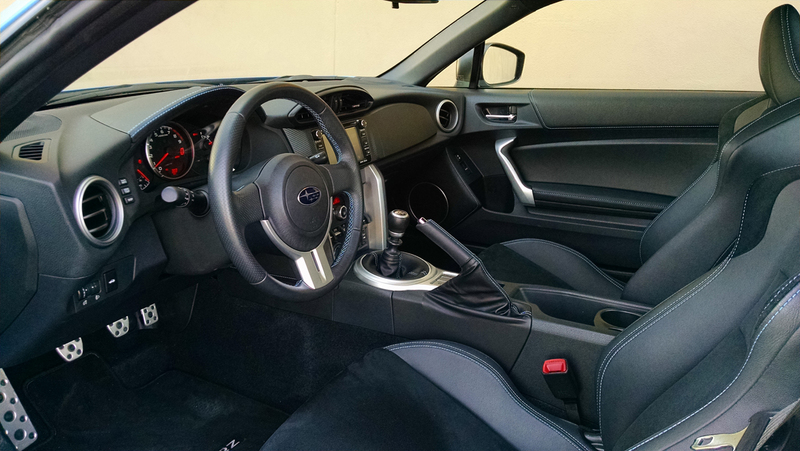 Combine this with the fact that the Subaru BRZ is well constructed with fit and finish rivaling many luxury marques and its value is pretty high. 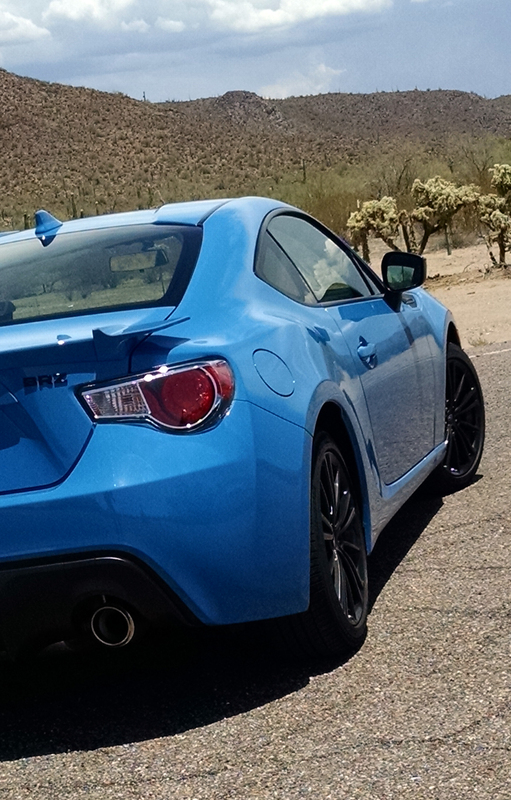 It is however an awesome car that remains in search of an awesome engine.